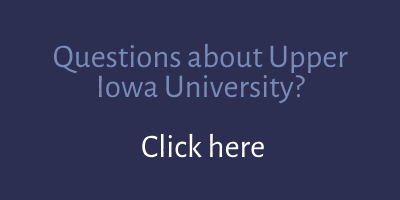 Where is the one place you would want to go once you made it to university? If you said high school, then you should have come with us last Wednesday. 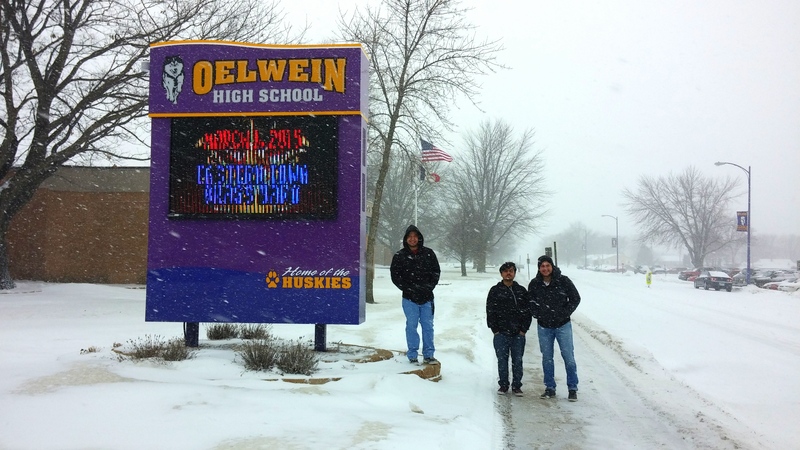 The IEP took a trip to Oelwein high school to get a taste of American secondary education and sit in on some classes. The principal, Chad Kohagen, brought us on a tour, showing us the gyms, concert hall, metal and wood shop rooms and all the other various facilities. 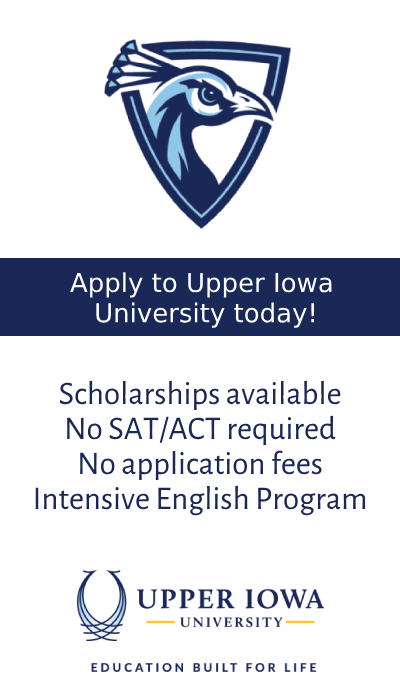 A few of the students said they wanted to study there, especially since students at that school all get a free laptop to study with, starting this year. 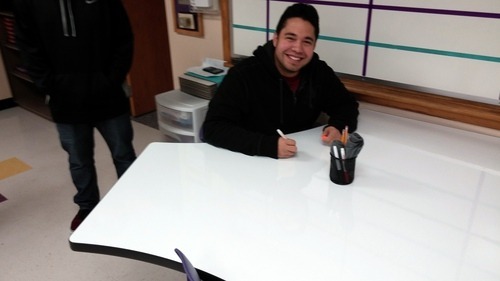 Here is one of our students, Pablo, in the math room, where all the tables have dry-erase surfaces for easy calculations and doodling. We sat in on a Spanish class first, which was great for the two Venezuelan students, although they had to introduce themselves to the class in two languages. Then we went to a math class and learned about factoring and Ashish, the Nepali student’s time to shine. Eventually though, it was time to head back out into the snow and back to Fayette.